Two great book events and WIN FREE TICKETS! Hi dear readers, bloggers and authors! Geez, it’s been a while since I’ve posted. But the awesome bookish community is never far from my mind. Life just had me spinning in its tornado-like grip. Even so, I am cooking up new stories – another witch book, this one set in Philadelphia in 1854, and a romantic suspense set in contemporary LA. I am also participating in some really fun literary events that I want to invite you all to. Anyone live near or in NYC? How about the UK? 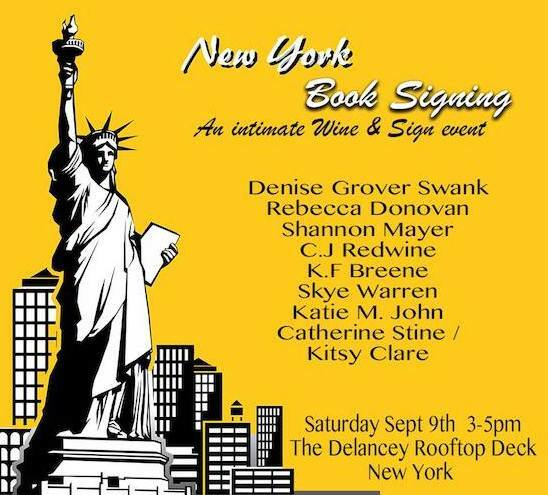 Wine & Sign on the rooftop lounge of the Delancey Hotel is part happy hour, part meet-n-greet & part book signing. Come party with me and some very intriguing, bestselling novelists like Skye Warren, Shannon Mayer, Denise Grover Swank, Katie M John and more. Better yet, you could win a FREE ticket (or two)!!! Tickets are $15 but I have FOUR FREE tickets to hand out! To win one or more, just preorder one of my books and fill out this form to let me know which one you ordered. Easy Peasy, right? Winners will be notified by email, and their names will be added to the special guest list. For author bios and event details click here. This conference is only 20 minutes on train or bus west of London in Twickenham, set in a university that looks like a castle! Join us in the beautiful surroundings of St. Mary’s University and Strawberry Hill house for an intimate two-day reader, author and blogger conference, including a public Saturday signing event. 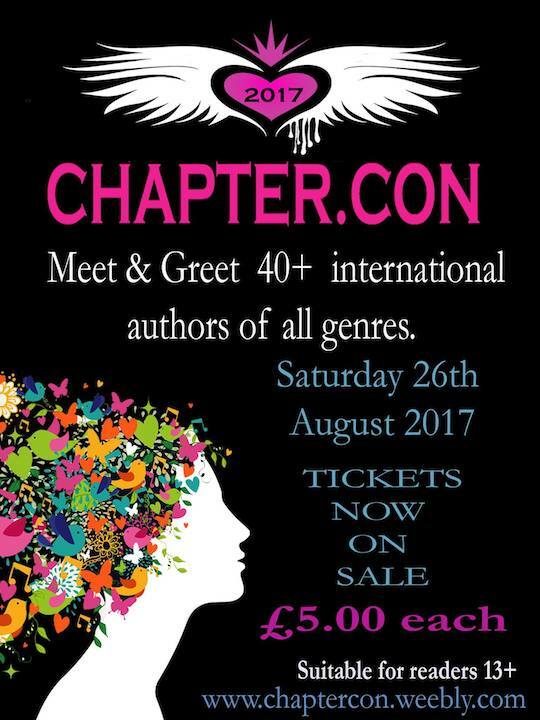 Whether you are a best-selling established author, an aspiring author, a blogger, a reader, a publisher or a book seller, we would like to invite you to ChapterCon, one of the U.K’s very first conventions of its kind designed to connect, educate and inspire. Book fair tickets are only 5 British pounds. Check out all event options here. Overall conference deets here. To reserve one of my signed books preorder here. Happy August! It would be wonderful to see you at one of these amazing events.